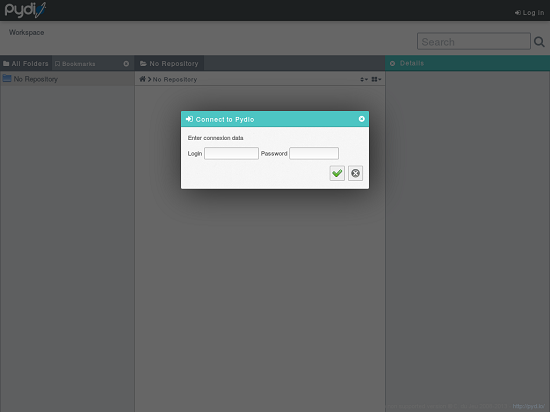 Now (re-)open the server ssh console and navigate to the webftp folder you created during pydio installation. * This file is part of Pydio. * along with Pydio. If not, see <http://www.gnu.org/licenses/>. * The latest code can be found at <http://pyd.io/>. * The standard repository will point to the data path (ajaxplorer/data by default), folder "files"
* Use the GUI to add new repositories. Replace <YOUR_VALUE> by the md5 hash that you find in the file data/plugins/conf.serial/aliases.ser. Open file plugins/auth.ftp/manifest.xml. You have to change some lines in there. You can now login with every ftp user you create inside ISPConfig, no matter on what server of your multi-server-setup it resides. Have fun. Same here, users can't login. Replace the setting for REPOSITORY_ID in the bootstap file (was ISPConfigFTP) by the LOWERCASE string, that you set as name when you created your workspace (e. g. webftp). If this does not work, have a look in the file data/plugins/conf.serial/aliases.ser and use the md5 string from there as REPOSITORY_ID. Don't forget to clear the cache again afterwards. I dont find this file: data/plugins/conf.serial/aliases.ser !!! Then you might not have used serial config storage. Maybe you used sql storage during setup. If I used MySQL during setup, what i need to change in your code to make it work? and where I can get the md5 as you mensioned? To be honest, the easiest thing would be to simply re-install. I don't know where the md5 hash is located in MySQL installations. When following the howto, the md5 hash is in the aliases.ser file as mentioned on page 3. At first I had the error "Cannot find user, please try again. Make sure your Caps Lock is not engaged!" when trying to log in with one of my FTP user accounts created via ISPConfig 3. After some troubleshooting with Croydon, he narrowed it down to the REPOSITORY_ID value in "bootstrap.json". At least for my setup I needed not the repository name, but the md5 hash created for it in the file "data/plugins/conf.serial/aliases.ser". I cleared cache as further directed, and login was successful! I tried logging in with different users successfully, uploaded an image successfully, and edited and saved a text file successfully, all from within Pydio. Thanks for the tutorial! I encourage others to contact the author as I did; please let him help you before leaving negative comments! The variable $client appears to contain no data. I am able to log into all accounts that are on the local host just not ones on a remote system. Is it possible I don't have some need package? You need to have soap enabled in php. Maybe this isn't the case on your server. Localhost is just a fallback if fetching the host fails to prevent pydio from displaying strange errors. As you can see above, I had the same error upon login. The Solution is, to my shame, to follow the howto more precisely. Unfotunately the instructions for editing bootstrap_repositories.php are a bit unclear. But MOST IMPORTANTLY do not delete anything after! Then you will be put directly in your WebFTP folder whithout any error! On my first try I simply copy pasted the content of the box, leading to a white Page, no login, nothing. I am getting that same error "Loading Error: Invalid XML Document (see console)"
any workspace (I have to manually select from the dropdown). perhaps one could work backwards from that? Hi and thanks for this great tutorial. This one works just fine, except for the Download cart. If I select a folder, right click on it and choose "to selection cart" the files within this folder are successfully added to the cart tab on the left. Now after I try to download this cart within the zip file there are only files with no extension you cannot open. They are completly corrupted. A single file download just works fine. Any ideas whats causing this? I am guessing its looking for recycle_bin dir path.... but this needed to be removed asper guide.